We’d love to hear from those of you who are using BAT. Please post your comments here! There are also some expert reviews of the book (Patricia McConnell, Leslie McDevitt, Teoti Anderson, and Virginia Broitman) on the BAT book page. Note: This is not a discussion or a place for questions, but rather feedback from trainers, behaviorists, and regular folks who have used BAT. For a lively discussion, please join the functionalrewards Yahoo group. BAT is a part of my daily work with aggression and all levels of reactivity – dog dog, human, sound, objects, OCD etc. Recently, used BAT with Cavalier/mix dog dog aggression. This dog could not see a dog from over 100 feet away without full blown growl, lunge, bark, aggress. This was a highly emotional issue for his owner. With the use of BAT owners can now peacefully walk their dog without reaction and we are at five feet from teacher dog. What I like about BAT is that it works quickly with consistency, you can use it in real life as well as mock practices and there is little need for other DC & CC processes. Used BAT with a Labrador pup fearful of getting into the back of the owner’s vehicle (hatchback) due to several bad experiences with the space. In less than 30 minutes the pup was jumping in and out of the space and work was started on slowly closing hatchback. Have used BAT for human aggression, fear of rocks, fear of the vacuum cleaner and have had just as many successes. Currently using BAT to work with a highly aggressive chihuahua with intent to do harm on visitor work in his own household. As a result (we have a way to go) barking is decreasing, lunging, worry, more movements are allowed by humans in the household etc. I use BAT in my private training sessions with reactive and aggression cases, as well as with my own reactive Aussie, and as a facet of our club’s group Reactive Dog classes. I have had success with a number of students’ dogs. An American Eskimo, who acted friendly until people got very close to her, then became conflicted and bit. She has learned alternated behaviors, and can now approach people and dogs, knows how to “ask” to stop or go away, and has stopped with the lunging and biting. A Labrador Retriever who had been sent to a shock collar board and train as a puppy, then worked with another franchise trainer who exacerbated her lunging, barking, and snarling even further. After 3 sessions, she can pass dogs on the street, allow people into the house, ride the elevator with another person, and we are making progress with her extreme reaction to motorcycles. Progress would be faster, if we had a motorcycle decoy that we were in control of for setting up BAT Trials! I’ve been very pleased with BAT for my shy and fearful dogs and their people, as well. Using BAT along with classical conditioning gives the dogs alternate behaviors to use, and avoids the demand barking period many shy dogs go through after being classically counter-conditioned to fear-invoking humans. I am very happy with BAT, and can’t wait to get my copy of the book! I’m a Certified Pet Dog Trainer (CPDT-KA). I have just started using BAT and am very excited to have another great tool to use. In my first case I found that the functional reward was not moving further away, but moving closer to the trigger! This particular dog, a Scottie, gets very aroused and barks, whines, and lunges at the sight of other dogs (actually at the sight of just about anything!). He is actually conflicted, both shy and a little fearful of them, but would rather sniff them and hang out with them. When he acts calm and shows some negotiation signals, the distance is decreased. I pair BAT sessions with other tools I have found to be very useful including Look At That, Watch, and counter conditioning. I have been using BAT consistently on dog aggression cases. It’s a phenomenal tool and when used efficiently the results are wonderful. Primarily because it’s a tool that clients can always have in their back pocket since its not relying on a lot of physical equipment. Best of all the dogs learn quickly. With the use of Grisha Stewart’s handouts and charts, we’ve been able to adapt the method into our current protocol smoothly. It’s a compliment to anything you use whether a trainer or an dog owner working with a difficult dog. I currently am using the BAT protocol on a reactive Brussels Griffon who is such a quick learner was sniffing a strange man’s hand within two sessions of BAT. The best part of using BAT is the large and supportive community of trainers and owners. The Yahoo! group is a great resource (free) and I have clients who join it too! I am training in Calgary, Alberta. Over a year ago I started experimenting with BAT and since that time have seen many, many of my client’s dogs have wonderful experiences with the protocol. The one that touches me the most and I will never, ever forget is Cuba. Cuba is a Mexican Hairless with tremendous fear of the world basically. He will bark, snarl and snap at both people and other dogs both off and on leash. The relationship between Cuba and his “mom” had deteriorated so badly that he was facing euthanasia. The sessions that I spent with Cuba were 100% clicking him for any interest in me, then any non-barking, snappy interest in me and finally approaching me. At this point we began a loose leash walking protocol and then we started Level One BAT. Cuba and I began our work together in May, when he would let me know in no uncertain terms that I was not welcome and nor was any other person or dog within a huge radius. Today Cuba has no problem with other dogs and people just across a residential city street. He will not accept a dog or stranger closer than that at the moment, but that’s ok, we’re working on it and mom understands that he will always need space and she is fine with that. She has accepted Cuba for his weaknesses and also his strengths, their relationship is healing, she has tools to manage him and he has tools that give him some control over his life, a way to communicate with his mom and that is precious. For me Cuba is the epitome of BAT, he demonstrates the power of BAT. I will never forget when he had his light bulb moment and (forgive my anthropomorphism here) his look seemed to say “You mean I can just walk away? Go figure” and he walked away, it was beautiful. Warmest regards and thanks so much Grisha! BAT has really benefited clients as well as my own little Papillon. Your DVD is fantastic and I look forward to reading your book, as well as reviewing your new puppy DVD. We are using BAT successfully in our Reactive Rover classes and seeing some amazing results with many different dogs. After 8 weeks of BAT many of the dogs are able to go on walks with their owners for the first time in years. The owners are also learning great handling skills and have a plan, so they are more relaxed when handling their dogs. We are very pleased with the consistent results we have been able to achieve with BAT. BAT has taken my dog training business to a whole different level. Up until 2008, I had been using standard desensitization/counter-conditioning procedures and CAT (Constructional Aggression Treatment) with aggressive dogs. But I was dissatisfied with how slowly dogs improved. Owners of troubled dogs are at their wits end by the time they call me. They want to see improvement quickly, especially when they are paying good money for one on one help. I have been teaching BAT to clients for over 2 years, and it has never let me down. When the dog realizes he has a choice to stay calm in order to feel safe with his owner’s guidance, BAT becomes a dance, reflecting the growing trust and bond between the two. It is a beautiful sight and never ceases to amaze me. Thank you, Grisha, for introducing BAT and helping many dogs who would otherwise be relinquished to shelters or euthanized stay in their homes. I’m new to using BAT but have done so now for reactivity to other dogs and one dog who is just highly stimulated by what seems everything outside (lets out a blood-curdling scream all while outside). All four of the different cases have been highly successful and owners were left feeling much relief and understanding about much more than they imagined! Dogs got to be extremely less to not reactive at all to the stimuli that may have set them off initially. I’m about to start a case with a dog that is fear-aggressive to humans and I’m very excited about it as I want this to be a huge success because the first trainer he saw, whom was an aversive trainer, said he needed to “lock up his dog and not anyone near it for the rest of his life”. BAT should fix this dog right up! Hi Grisha! I used BAT with a client last night for aggression towards cars. What a difference in the dog in just a few trials! The owners were quite impressed! Thanks for sharing this technique with us. I’ve got two more aggression cases to begin working with BAT! I’ll keep you posted on the progress! I work at a rescue in the UK. We first heard of BAT last year courtesy of the behaviourist we use who is thankfully very keen to keep up with new methods. The dog was an 18 month old belgian shepherd female, she was very reactive and fear aggressive of new people and other dogs. We had tried various reward based methods for a long time, then we got introduced to BAT..Wow what a difference…after working at it for another couple of months, and with the help of a very committed new owner, The dog was finally rehomed, having been in kennels for 14 months..and better yet she was rehomed with 2 other german shepherd dogs to a very loving family home! Thank you Grisha, and Jan who showed us the method, You saved that dogs life. Hello everybody, I just start working as a trainer for dogs and people in Germany. Two years ago I had much problems with my dog. He was interesting in hunting and starts at the age of one to be more and more reactive. Sometimes, even if something happened just a moment before, he reacts to everything that comes near to him. He starts also to be aggressive to dogs if he is on a leash. I was very lucky to meet a trainer, that works with positive reinforcement, target, bridge, marker. I like this technique, because, if you are in the know, you don’t need any punishment, and it is very smart to do that, while all the other people have to surrender, if their dogs do anything, that they don’t like. With the technique of BAT you can teach your dog nice behaviour to any creature, especially other dogs, and at last he is doing all that without any command. He changes his behaviour. Also in the hunting problem I work with that technique, but there a longer training is necessary, because hunting is genetic fixed. I’ve been using BAT with behavior modification clients since around April 2011. I’m located in Basel, Switzerland as was incredibly lucky to be able to host Grisha here for a 2-day seminar in August 2011. While techniques such as D&CC (dessensitization and counterconditioning) and LAT (Look At That) are very important and work well, adding BAT to my toolbox has also been a boon to my clients’ everyday life with their dogs. BAT is, in it’s various stages and types of application, extremely flexible for the everyday life with the dog and allows itself to be, with the proper instruction, used by just about any client. Moreover, I’ve found, that even if not entirely properly used by the client, the basic effect is still present. This is huge, because once we’ve worked together, demonstrating these strategies in a set-up (leaving the obvious benefits the dog receives from these set-ups for the moment), the owner herself takes over the actual training on a day-to-day basis and all I have to do is add more ideas and do some tweaking. This means I don’t have to worry about the occasional mistake or misunderstanding. It may slow progress, but doesn’t stop it. Thanks so much for this new addition to my toolbox and hope to see you here again! 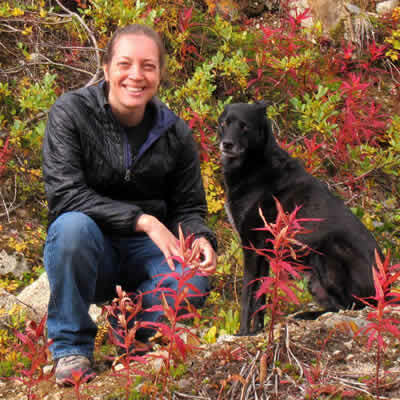 I am a dog trainer and behavior consultant and have worked extensively with my own Recovered Reactive dog, using a variety of different approaches. When I first encountered BAT I felt it was something I was already doing myself — except I wasn’t! Many of the elements were there, but I wasn’t combining them in the elegant, well thought out, scientifically sane and accessible way that Grisha has. I think one of the beauties of BAT is how easy it is to slip into it, like a dance. Of course the dance can get more complicated, and some people like dancing more than others, but I am finding that most clients take to it easily, and we are seeing good results. I also love the community support element – I know from personal experience that the emotional side of living with reactivity/aggression can be stressful and lonely. I am working with BAT for about 18 month now. I’ve had some great success but still have a way to go with some of the dogs. I do lots of impromptu BAT on walks but my success is much higher with set ups. I’m in the East Bay Area near San Francisco but I’m willing to travel. BAT brought me back to aggression training after a hiatus. I was unhappy with the slow progress of traditional CC/DS programs and the typical GROWL class options I had learned in my initial training. While researching and revamping my class structure, I read about BAT. The process made perfect sense to me and I love the real life response changes we can gain as well as the speed of learning. I am thrilled to add BAT to my toolbox and am recharged about working Reactive/Aggression problems again! I have implemented a new class system which uses BAT and have been overwhelmed with the progress we are experiencing-thank you Grisha for spreading the word and offering an integrative, natural approach to behavior modification. I am in Lehigh Valley PA and offer private as well as group classes. I used BAT for the first time in a private lesson yesterday w/a highly reactive dog with a dog bite history. When I started w/this client I told her I had heard of a new method for working with reactivity & that I’d research it & see if we could utilize it…so I went in search of & found BAT! This is the first method of dealing with reactive dogs that I’ve felt full “buy in” for! From a behavioral & K9 learning standpoint, it stands up for me! Dogs acknowledging their triggers, learning new emotional responses in the face of those anxiety producing moments & making choices? My kind of training! AND…I am finding the method extremely easy to teach & coach for my client! Awesome!! I can’t wait to see what else I can apply it to!! this method combines some of my strongest beliefs in dog training…1.) Learning is most efficient, effective & durable when the reward is based on inherent/internal drives & needs. 2.) Training is most efficient & durable when dogs can engage in active thought processes and make choices on how to respond in any situation. & 3.) training that enhances trust & respect between owner & dog is the ultimate goal! Thanks Grisha! Thanks to Grisha Stewart, I have an incredible new tool to add to my collection of CC & D, LAT, LTT etc. for help with reactive dogs. One client had used 5 trainers previously who used a number of techniques for their leash-reactive dog including CC & D to no avail. The owners felt the cause was hopeless, and were resigned to forever living with a dog who reacted violently to every dog he saw. However, we saw amazing progress during the first session of BAT! Continued BAT training has resulted in a dog who calmly and happily greets other dogs while on leash. Simply amazing! I took my dog to a dog trainer/behaviourlist for a month and a half of classes. She recommended reading your BAT book. She said she has been doing what you are doing but you were the one who put it into practice and wrote a book about it. I have a fearful/anxious/territorial/aggressive dog. I am so very happy that there is a solution out there that can help her. Thank you so much for writing your book and producing the training clips. Me and my paw thank you. Hi there Grisha! I just got my BAT book yesterday and I am so happy! I love the pictures of the dog’s body movements and stress reactions. I can see my Figgy in the dogs. It makes me laugh, I just love it! I would like to buy the DVD’s too down the line but I will have to get through the book first and take it from there. The BAT video mentioned dogs that are overzealous in greeting other dogs. My 3 year old male Aussie lunges and pulls to get at and greet other dogs. Can BAT help? Other than that he can do all CGC tests. Would the book and/ or video be appropriate? The book would be best if you are a pet owner. 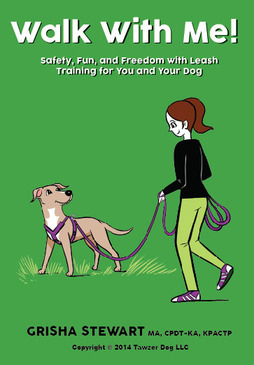 The Organic Socialization DVD also has good info. I wanted to let you know that my colleague and I have just completed our first “Cranky Canine” class where we help reactive dogs tolerate proximity to other dogs (and sometimes people). The dogs made unbelievable progress and the feedback we’ve been getting is just incredible. We have encouraged our students to purchase your book so that they can continue their progress and learning. Thank you so much for writing the book (it’s WONDERFUL) and for sharing this incredible technique with us trainers. I find it to be the most humane method of working with a reactive dog and it instills great confidence in these otherwise fearful dogs as it allows them to make a successful decision. We’ll be continuing our future “Cranky Canine” classes using exclusively BAT with our pups. It really is the only way. Our trainer friend, Marisa Scully (phillydogtraining.com), taught us BAT during the last session of my dog, Louie’s, Advanced Canine Manners class at Y2K9s Dog Sports Club. My only goal for the class was for him to be able to be in the class without being totally flooded and over threshold. I knew I would just teach him the skills at home. He did well, and was working outside his visual barrier more often than not. That last evening, however, I still wanted to be able to somehow walk by a dog on the street peacefully, and our trainer introduced this miracle plan of yours. We took it and ran with it, so to speak, and it has changed Louie’s life. He is anxious and unsure of himself with other dogs. After two months in the city shelter, he used to scream and buck on leash at the mere sight of other dogs on the horizon. I had spent months with him on low distraction streets (try finding many of those in the middle of Philadelphia!) late at night, building engagement with him, and it had helped enormously, but I felt we had hit a bit of a plateau. BAT changed everything. He is a totally different dog now, and when faced with a dog that makes him uncomfortable, he will usually look at the dog, look at me, and run the other way. Once we started doing BAT, it was like I finally got what he had been trying to tell me all along. He wasn’t dog aggressive, reactive, or any of the other labels we throw around. He was scared. BAT has given him power and choices. We have strengthened our bond tremendously though BAT–I honor his boundaries, and he trusts me. The progress we have made in a relatively short amount of time has been incredible. Thank you, a million times over. I've used BAT on my own dogs and with my clients for about a year now, since Grisha was here in Sweden One of my dogs is (was) extremely reactive and quite aggressive, with a bite history and she´s now rehabilitated, thanks to BAT. I can clearly see that she´s choosing to back away from the trigger instead of, as before, attacking it. She can relax more because this technique gives her the space she needs. She still has some issues with cats and eye contact but I´m sure we can work that out:) BAT is awesome! I had heard about BAT for ages before I finally got around to buying the book. Boy was that a mistake not putting this fantastic method into my training programs a long time ago. Luckily for me I was just learning how to do BAT at the same time Grisha was here in Australia. I had the best introduction you could wish for – the book, BATting 1000 DVD and Grisha's videos and presentations. BAT fits fantastically well into every other positive method I use and adds incredible value to them. I now find that no matter what dog I am training, from baby puppies to aggressive rehabilitation cases there is a place for this technique. What I also love is how easy it is to teach clients and how quickly they go “wow, my dog has never been this good before” It is a great feeling. Fantastic method of training. I love BAT. Louise Kerr – aka The Pet Care Magician @ Elite Pet Care & Education. Australia.